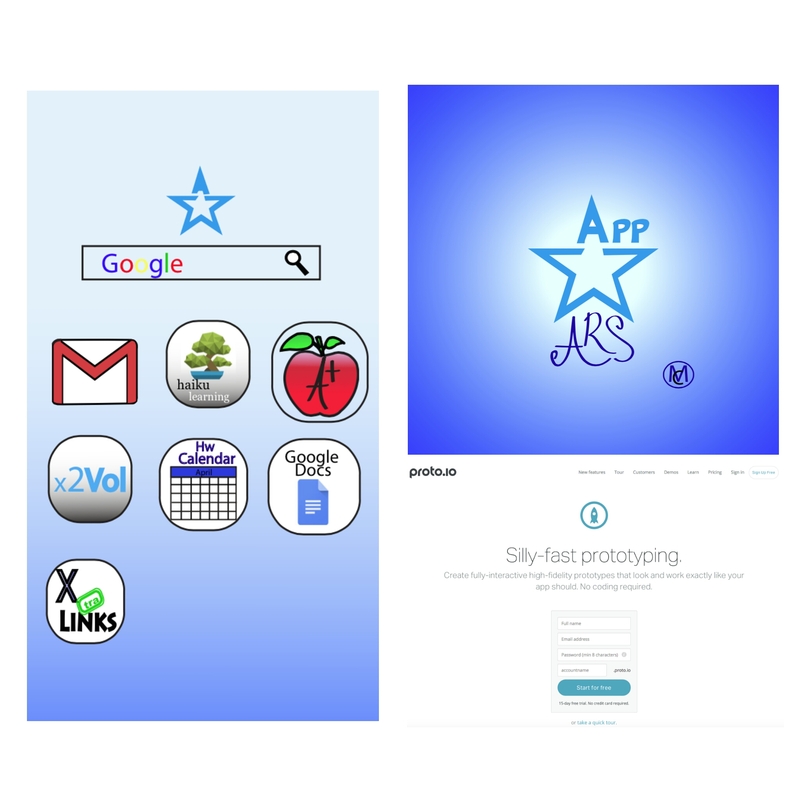 Our prototype home screen, Our logo, And the website to make our prototype. Coming into 8th grade knowing that it was going to be harder than any of the other grades so far was expected. But there was times during 8th grade where I wanted to give up and I thought no I cannot do this,its impossible. If you give up, you’re never going to know what could have been if you finished what you started or if you continued your hard work. But I believe that the hardest part so far and the most challenging for me as an individual, was probably during the Maker Fair project. A time that I thought about giving up was probably during our Maker Faire. A Maker Faire is where students bring their imagination to life. When students have finished making their idea a reality, they get to share it to other people that may not know about the project. Students show them how it works and the reason behind it. Marlene and I are working on an app for our school that would help our classmates and our teachers by putting all of the websites that we use on an everyday basis in one place. That way we don’t have to go through the hassle of going to each website separately. We actually started prototyping which is basically the design and layout of what you want to have on the app. And when you have the prototype you would continue to actually build up and make it a real app. At first we thought building an app was pretty simple, but once we got into the prototype building it was actually really hard. And there was a lot of times where I told myself how can a 14 year old girl do a job that’s meant for a college graduate. I also thought of how I knew nothing about app building to making an app that all of our school would use. Then we looked at how to make the real working app and I thought I can’t do this. And the more we looked into it the more difficult it looked, and it felt impossible. I honestly never thought I would get to finish the prototype with my partner. But then I told myself yes we can do this and we will achieve great things with this app. And then I started thinking of all the possibilities that could happen if we continued building the app. And I think that’s what kept me going. We would continue to work on this even if it wasn’t for a grade because we knew that we could do so much with it. My experience with building this app and making this prototype is a lot like skateboard mentality. Skateboard mentality is when you fall, and when you fall you get back up. If you fall a 2nd time then you do exactly the same thing, and you continue. I have definitely learned a lot from this project and I have learned things from myself that I would have never known. We worked so hard and we know that this app will be something real and it will become something that I will forever be proud of. At first I didn’t know what skateboard mentality was, but now that I do I can see a hundred different ways that I’ve experienced skateboard mentality in school, at home etc. I think everyone should experience keyboard mentality in their lives. Because it teaches us how we really do learn from our mistakes. And…what doesn’t kill you makes you stronger.